Details of Classic Wines Auction Announced Based in Portland, Oregon, First Growth Children and Family Charities is a nonprofit organization that produces the Oregon Classic Wines Auction. The 27th Annual Auction will be held February 28 through March 5, 2011, at the Oregon Convention Center. The program includes Taste Walla Walla, Spring Winemaker Dinners at 28 restaurants in Portland and SW Washington, the Ambassadors Dinner at the Portland Art Museum (Honorary Wine Ambassadors are Dennis Cakebread of Cakebread Cellars, Bill Hatcher of Rex Hill, Marc Perrin of Château de Beaucastel and Christophe Hedges of Hedges Family Estate. The Gala Auction on Saturday, March 5, 2011, features guest chefs Cory Schreiber and Adam Sappington. For tickets, visit www.classicwinesauction.com. RRV Winegrowers Presents a Wine & Cioppino Dinner On Saturday, March 5, 2011, a Russian River Valley Wine & Cioppino Dinner will be held in Grace Pavilion at the Sonoma County Fairgrounds. Tasting of RRV wines, crab cioppino dinner, music, silent auction and raffle. Tickets are $55 per person at www.rrvw.org. Rippon Vineyard Opens The Rippon Hall For several years, Nick Mills of Rippon Vineyard at Lake Wanaka in Central Otago, New Zealand, has hosted musical festivals. On January 23, 2011, The Rippon Hall will have its first live music concert featuring Warren Maxwell. Limited to 200 attendees, tickets are now on sale. 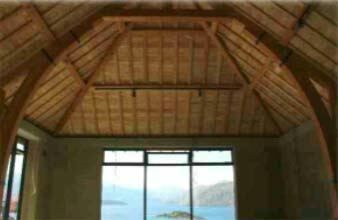 Visit www.rippon.co.nz. The official opening ceremony will be on Saturday, January 22, 2011, including words from James Millton, ribbon cutting, tree planting, and guided tours of the building. Gift the World of Pinot Noir Looking for a unique gift for a pinotphile? Consider a gift of WOPN at Shell Beach, California, March 4-6, 2011. The tickets can be mailed to you with a gift card or sent directly to your gift recipient with a personalized note. To purchase, visit www.wopn.com, select the WOPN Store tab, and for each ticket you order, enter the name of the recipient and the word “Gift.” After completing your order, send an email to info@wopn.com with your instructions on where to send the tickets, your text for a personalized note, etc. You can also order by phone: 805-489-1758. Noble Rot Attracts Millenial Wine Drinkers The Noble Rot is a mobile wine tasting saloon. So far, offbeat wine tasting education events have been set up in New York City in private spaces such as Manhattan rooftops and lofts. Entertainers and chefs are invited. The whole idea is to shed pomposity and pretension and make learning about wine enjoyable. Jonathan Cristaldi and Brian Quinn, both in their late 20s, who head up The Noble Rot, offer a millennial's view of wine enjoyment. Events are planned for Los Angeles and California. Visit www.thenoblerot for information. The Noble Rot Blog is at www.winetology.com. West Sonoma Vintners Unite The newly formed West Sonoma Coast Vintners Association (WSCV) consists of founding wineries Failla, Freeman, Freestone Vineyards, Peay and Red Car. The WSCV was formed to protect the history, landscape and culture of the West Sonoma Coast and promote the wines, vineyards and culture of the region to media, trade and public. A website is planned and the group will coordinate and promote sub-appellations to the TTB, media, industry and consumers. A yearly event is planned in Occidental on the weekend of August 5-7. Another West Sonoma County group, West Sonoma County Wineries, consists of 10 members within 10 miles: Balletto, Dutton Estate-Sebastopol Vineyards, Dutton-Goldfield Winery, Freestone Vineyards, Graton Ridge Cellars, Hanna Winery, Iron Horse, Marimar Estate, Russian River Vineyards, and Taft St. Winery. This group all have tasting rooms and are co-marketing quarterly tasting room specific events. Days of Affordable Burgundy May Be Near an End Decanter.com reported that record prices were paid at the annual Hospices of Beaune auction. This is a bit surprising considering that the 2010 vintage in Burgundy is very uneven. The event organizers are interested in establishing Burgundy interest in Asia and Asia had more registered bidders than the United States. Asian buyers accounted for 12.5% of total sales. Many lots exceeded prices for the 2005 vintage. The small amount of top Burgundy wine produced will surely become more inflated in price as competition for the wines heats up as wealthy Asians entering the fray. Josh Jensen Reveals Startling Facts In the latest newsletter from Calera, Josh Jensen wrote to his mailing list shortly before leaving for a sales trip to Tokyo and South Korea. He noted that Calera sells to about 25 “entities” abroad and for the first 10 months of this year, they accounted for an incredible 42.7% of total sales. Last year, in 2009, they accounted for 40% of sales. Calera’s biggest export market by far is Japan. Much of the sales success in Japan can be traced to 1996 when a major Japanese adult newspaper ran a strip called The Sommelier and featured Calera Pinot Noir. Lou Foppiano Turns 100 Iconic winemaker, Louis J. Foppiano, celebrated his 100th birthday last month at a party held at the Healdsburg Golf Club. Foppiano Vineyards is Sonoma County’s oldest continuously operated family winery. Probably the most famous historical event in Foppiano’s career is preserved in memory by a photograph in the tasting room dating to 1926, when during Prohibition, federal authorities forced young Foppiano and his family to dump 100,000 gallons of red wine into a ditch along Old Redwood Highway. The winery’s signature wine has been Petite Sirah. Recently a new winemaker has been hired, the winery facility upgraded, and modern viticultural methods instituted in the vineyards. New Winemaker at Pfendler Vineyards John Raytek, who has his own label, Ceritas, and has worked as an assistant at Flowers, Copain and Rhys Vineyards, has assumed the winemaking role for Pfendler Vineyards beginning with the 2010 vintage. ¡Salud! Oregon Pinot Noir Auction Raises Over $650,000 Proceeds from the annual ¡Salud! 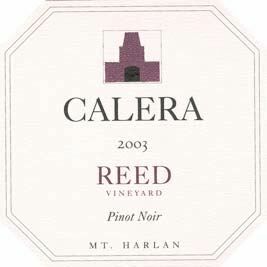 Oregon Pinot Noir Auction increased 7% over 2009. The money raised covers essential medical care for thousands of seasonal vineyard workers and their families. Held November 12 and 13, 2010, at Domaine Drouhin Oregon and Portland’s historic Governor Hotel, the auction included unique 2009 Pinot Noirs from the 42 “Vintners Circle” of top Oregon wineries. The ¡Salud! Oregon Pinot Noir Auction will celebrate its 20th Anniversary on November 11 and 12, 2011. For more information, visit www.saludauction.org. New Releases of Note 2008 Domaine Drouhin Oregon Willamette Valley Pinot Noir and 2007 Domaine Drouhin Oregon Lauréne Pinot Noir. 2007 The Eyrie Vineyards Original Vines Reserve Pinot Noir, 2008 The Eyrie Vineyards Estate Pinot Noir, 2009 The Eyrie Vineyards Original Vines Reserve Chardonnay. 2008 Dusky Goose Dundee Hills Pinot Noir. 2009 Et Fille Kalita Vineyard, Maresh Vineyard Pinot Noirs. 2009 Red Car The Aphorist (Bartolomei Vineyard), Dreamland (Platt Vineyard) and Heaven & Earth (Bohemian Station Vineyard) Sonoma Coast Pinot Noirs. The new Red Car tasting room in Sebastopol at the corner of Gravenstein Highway and Graton Road is now open by appointment, with regular hours to come. Next door is the new Dutton-Goldfield tasting room pouring their new releases of 2008 Freestone Hill and 2008 Devil’s Gulch Pinot Noir. Dutton-Goldfield is offering magnums of their wines for the holidays. 2008 Bonaccorsi Sta. Rita Hills and Santa Barbara County Pinot Noirs, 2007 Bonaccorsi Melville Vineyard and Cargasacchi Vineyard Pinot Noirs. Winebreather Carafe From a Danish company, Creative Danes, headquartered in Carlsbad, California, the Winebreather carafe aerates wine quickly by channeling the wine through the carafe’s long neck and down the sides to the broad base of the carafe. The wine is thoroughly aerated in less than 2 minutes. Testing shows that after 2 minutes in the Winebreather, the young wine contains 740% more oxygen. This appears to be a very nifty way to decant and aerate wine at home. Simply press the decanter onto the top of an opened bottle of wine, and flip it over so the wine pours into the decanter. You can then serve the wine from the decanter or flip it back once it is aerated and pour the wine back into the bottle and serve it from the original bottle. The company makes plenty of other innovative wine and beverage use items. Visit www.creativedanes.com. Buy from www.winestuff.com for $69.99, with custom engraving available. South Willamette Wineries Association (SWWA) Wineries in Southern Oregon organized last year to promote this wine growing region and distinguish itself from the Willamette Valley AVA, which it has been lumped with since 1984. Although not an official distinction, many wine enthusiasts divide the Willamette Valley into northern and southern regions, the dividing line being the approximate latitude of Salem (approximately 45 degrees north latitude). Most of the 16 member wineries are within an easy drive of Eugene and include Pinot Noir producers Benton Lane Winery, Chateau Lorane, Domaine Meriwether (sparkling wines), High Pass Winery, Iris Vineyards, King Estate Winery, LaVelle Vineyards, Noble Estate, Pfeiffer, RainSong Vineyard, Saginaw Vineyard, Sarver, Shadow Mountain Vineyards, Sweet Cheeks Winery, Territorial Vineyards, Capitello Wines. Trip planning to this region is offered on the association’s website at www.southwillamettewineries.com. SFMOMA Exhibit: “How Wine Became Modern: Design + Wine 1976 to Now The San Francisco Museum of Modern Art featured program now on display explores the visual culture of wine and its transformation over the last 30 years. The exhibition combines historical artifacts, architectural models, design objects, newly commissioned artworks, with a “smell wall,” a wall displaying the art of the wine label, and film screenings. On display are bottles of the two wines that won the 1976 “Judgment of Paris,” the 1973 Chateau Montelena Chardonnay and 1973 Stag’s Leap Wine Cellars Cabernet Sauvignon. Visitors are urged to bring used natural corks to SFMOMA’s exhibit for recycling and enter to win monthly prizes including a Grand Prize of a Northern California Luxury Wine Adventure. The Museum’s Store offers wine books, wine accessories and wine gifts. Visit www.sfmoma.org.